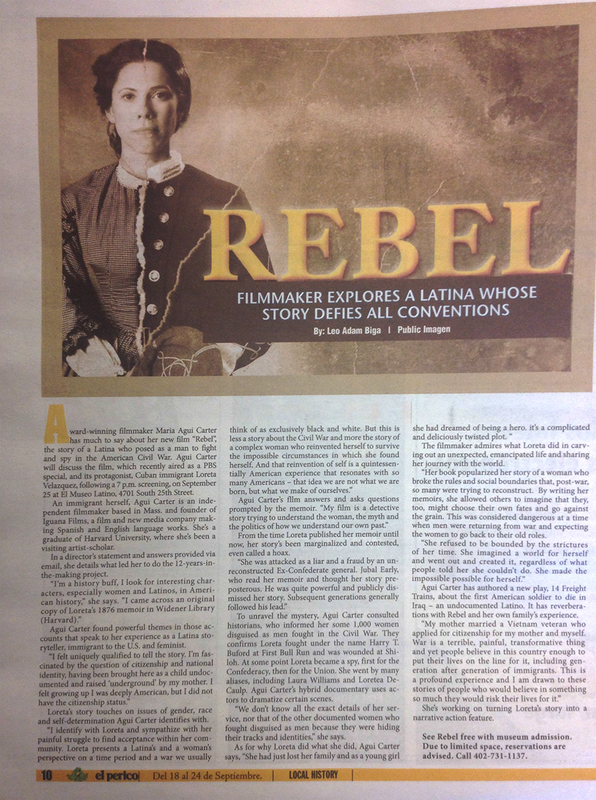 Award-winning filmmaker Maria Agui Carter has much to say about her new film Rebel, the story of a Latina who posed as a man to fight and spy in the American Civil War. 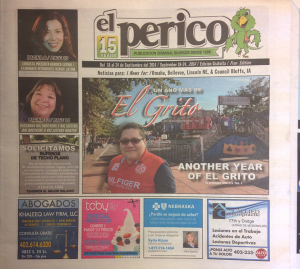 Agui Carter will discuss the film, which recently aired as a PBS special, and its protagonist, Cuban immigrant Loreta Velazquez, following a 7 p.m. screening on September 25 at El Museo Latino, 4701 South 25th Street. An immigrant herself, Agui Carter is an independent filmmaker based in Mass. and founder of Iguana Films, a film and new media company making Spanish and English language works. She’s a graduate of Harvard University, where she’s been a visiting artist-scholar. In a director’s statement and answers provided via email, she details what led her to do the 12-years-in-the-making project. Agui Carter found powerful themes in those accounts that speak to her experience as a Latina storyteller, immigrant to the U.S. and feminist. Loreta’s story touches on issues of gender, race and self-determination Agui Carter identifies with. From the time Loreta published her memoir until now, her story’s been marginalized and contested, even called a hoax. To unravel the mystery, Agui Carter consulted historians, who informed her some 1,000 women disguised as men fought in the Civil War. They confirm Loreta fought under the name Harry T. Buford at First Bull Run and was wounded at Shiloh. At some point Loreta became a spy, first for the Confederacy, then for the Union. She went by many aliases, including Laura Williams and Loretea DeCaulp. Agui Carter’s hybrid documentary uses actors to dramatize certain scenes. “We don’t know all the exact details of her service, nor that of the other documented women who fought disguised as men because they were hiding their tracks and identities,” she says. The filmmaker admires what Loreta did in carving out an unexpected, emancipated life and sharing her journey with the world. “Her book popularized her story of a woman who broke the rules and social boundaries that, post-war, so many were trying to reconstruct. By writing her memoirs, she allowed others to imagine that they, too, might choose their own fates and go against the grain. This was considered dangerous at a time when men were returning from war and expecting the women to go back to their old roles. Agui Carter has authored a new play, 14 Freight Trains, about the first American soldier to die in Iraq – an undocumented Latino. It has reverberations with Rebel and her own family’s experience. 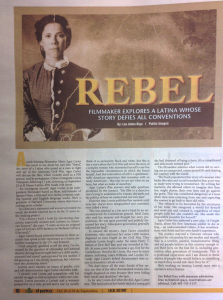 She’s working on turning Loreta’s story into a narrative action feature..
See Rebel free with museum admission. Due to limited space, reservations are advised. Call 402-731-1137. For more about the film and Loreta’s story, visit http://rebeldocumentary.com.